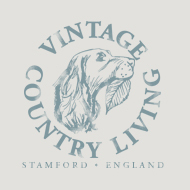 An exceptional on-line shop showcasing glorious authentic vintage finds to furnish your home in an individual and nostalgic style. Bringing you an ever changing treasure trove of irresistibly heart warming & stylish vintage furnishings, suffused with the patina of age and remembered resonance. We normally only have one of each item, so if you see something you like and don't want to be disappointed - don't hesitate!